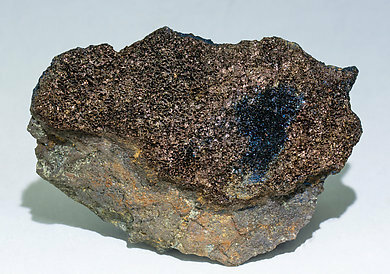 Aggregate, on matrix, of very well defined and bright Covellite microcrystals. They have an intense metallic blue iridescence. The sample is from a find in 1996. Subsequent finds have been sporadic, practically non-existent, either in that zone or the rest of the mine, which currently is now completely inactive. 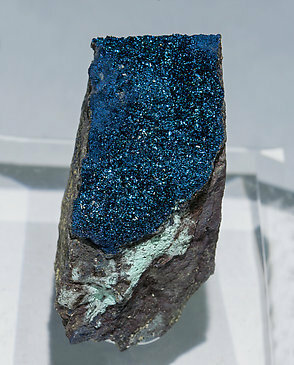 Aggregate, on matrix, of very well defined and bright Covellite microcrystals. 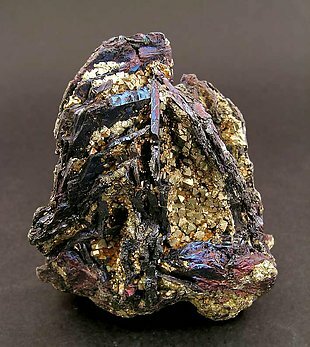 They are larger than usual for the locality, they have an intense brassy color and a small oval area that shows an intense metallic-blue iridescence. The sample is from a find in 1996. Subsequent finds have been sporadic, practically non-existent, either in that zone or the rest of the mine, which currently is now completely inactive. Leafy aggregates, very bright, of excellent color and on a matrix very rich in Pyrite. An American classic. 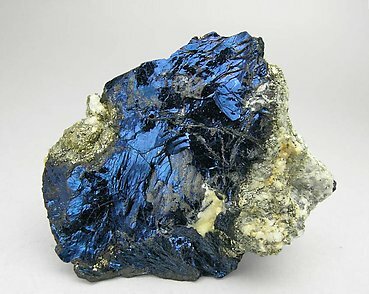 A very attractive specimen, for both its perfect size, definition, and intense, metallic blue of the laminar crystals of Covellite, which contrast well with the small groups of Pyrite crystals. The locality is its second strong point: the classic mine of Calabona, Sardinia. It was bought in 1922. 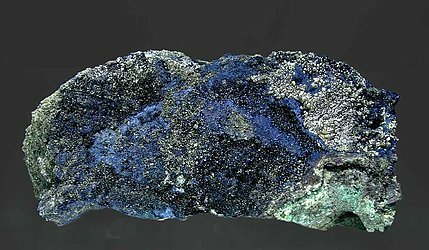 Surface covered by small Covellite crystals with a magnificent color. We especially note the presence of crystallized native Sulfur in wide zones of the specimen.